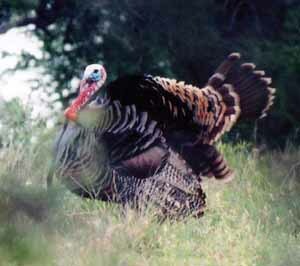 This love sick Rio Grande gobbler came in to the call and decoys. 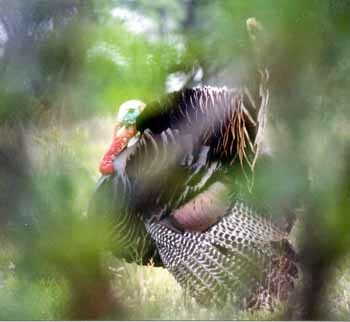 He was no more than 15 feet behind me through some bushes in the upper left and lower photo. 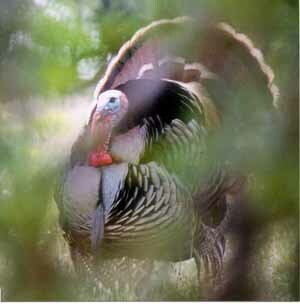 He stuck around for at least 30 minutes trying to get a response out of the decoys by strutting, drumming and gobbling.